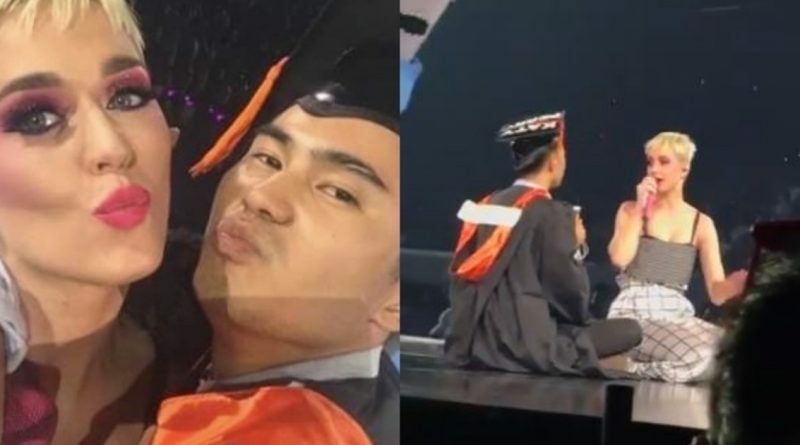 A Graduating Katy Perry Fan Stands on Stage With His Idol and Gets the Best Gift Ever: A Selfie! Filipino fans of Katy Perry were ecstatic and excited after experiencing the award-winning pop superstar perform at the SM Mall of Asia Arena in Pasay City. The international performer took her Witness: The Tour to the Philippines which delighted many of the Filipino KatyCats. One of the lucky fans who were able to see his idol in person is Josh Madrid. 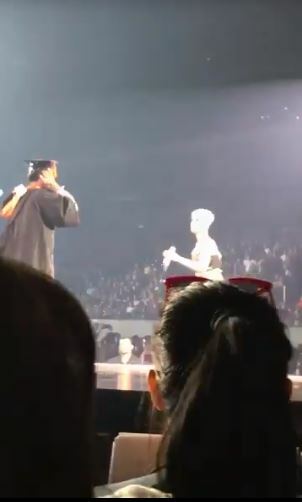 The lucky fan, who came to the heart-stopping show dressed in his graduation toga, got a once in a lifetime chance to meet the pop dive onstage. When we say on stage — we mean literally! He stands on stage with his idol. Because of his attire, the fan immediately caught the singer’s attention. 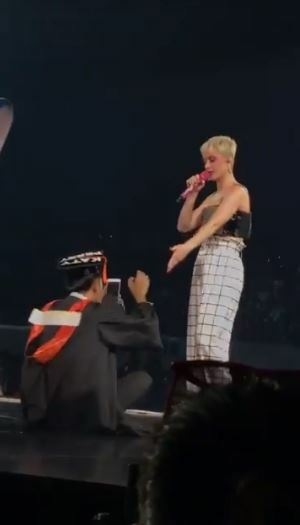 Not only did he stand next to her, the 33-year-old pop superstar also asked Josh to teach her some Filipino words and of course, he took a selfie with her to commemorate one of the happiest days of his life. This is not the first time that Katy Perry took the Philippines by storm. She also visited Manila for two concerts: the first one in California Dreams Tour in 2012 and the second one in 2015 for the Prismatic World Tour. 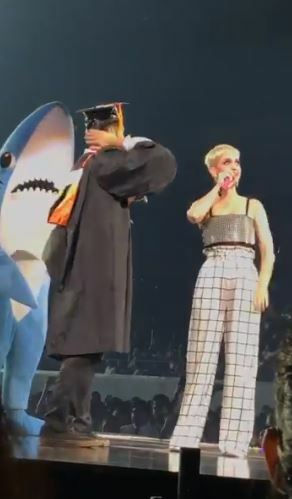 The whole event was complete with Katy’s iconic sharks. When the superstar called her fan, people were very excited for him. He even made the crowd laughing in glee when he spoke to Katy in Tagalog because of nervousness. If we are in his shoes, we probably will not just stutter — we might faint from nervousness and happiness too! This is probably one of the happiest and most memorable moments in a fan’s life. Josh is surely a dream come true of every fan’s prayers and dreams. Watch the happy moment here. If given a chance, who’s the idol you want to be next to?